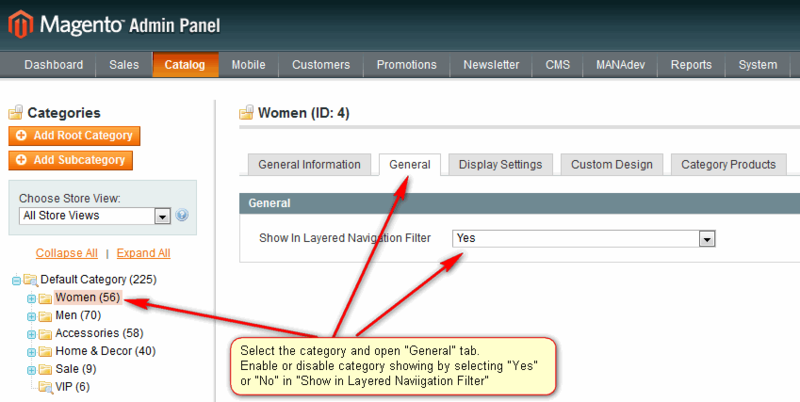 Extension adds a General tab into standard Magento category management screen. Here you can either enable or disable the category showing in Layered Navigation. 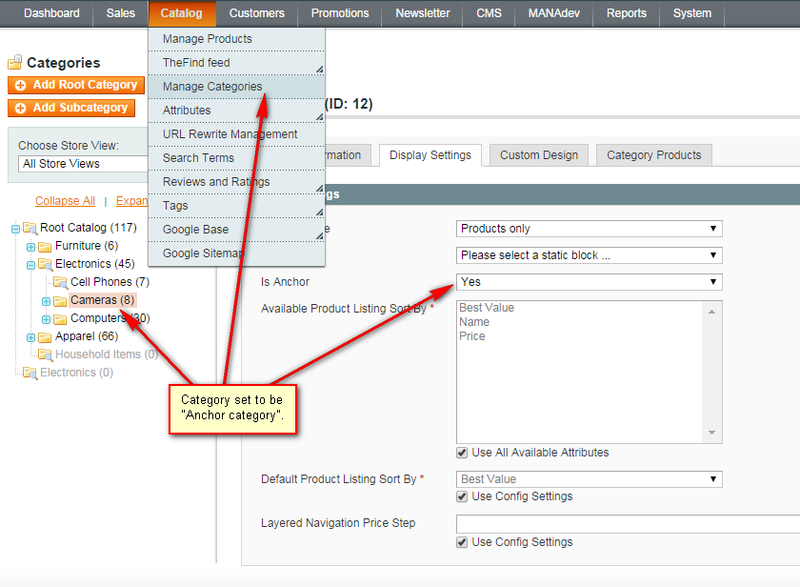 In order to access category configuration go to menu Catalog-> Manage Categories in Magento Admin Panel. In category tree select the one and open General tab. Show In Layered Navigation Filter parameter let to enable or disable category showing in Layered Navigation. 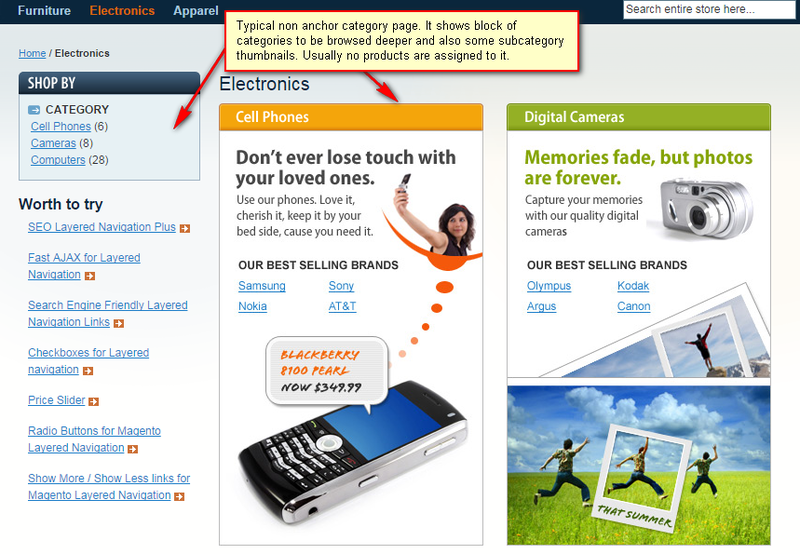 After extension is installed, all categories are enabled for Layered Navigation. But if category data are imported from external system, it can be needed to enable them after that.